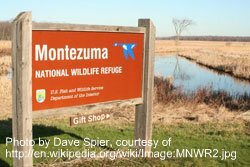 When I was a little girl and my grandmother took me for drives across western New York, we always passed signs that said “Montezuma National Wildlife Refuge.” My grandmother always pointed out the place. I thought it extremely odd that anything in New York would be called “Montezuma.” I also thought it odd that my grandmother expressed interest in it. Years later, I realized that my great-great grandfather helped create the Montezuma marshes into park, and that the name “Montezuma” was the name given by Dr. Peter Clark; he’d named his estate that because he liked the Aztec leader Montezuma. 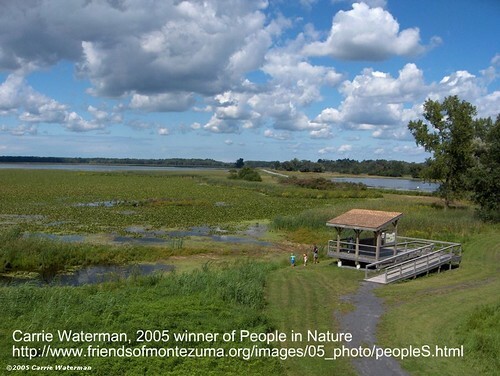 Montezuma National Wildlife Refuge is part of the Montezuma Wetlands Complex– a huge marshland of 50,000 acres in Seneca, Cayuga, and Wayne counties in Upstate New York. It’s designated as “one of the best examples of undisturbed swamp woodlands in New York or New England.” This area is an important stopping point for North American migratory birds and local waterfowl. The NYS Thruway slices right through it, so although I have never visited the park itself, I’ve been there. We’ve seen enormous blue herons swooping down between the tall cattails, and stunning bald eagles perched atop scraggly trees as they watch the cars zip by. Observers on the drive have recently seen a horned grebe, yellow-headed blackbird, Eurasian widgeon, glossy ibis, and whimbrel. Some 100,000 Canada geese and 15,000 snow geese congregate on the Main Pool during spring migration and 100,000 mallards and 25,000 black ducks are present in the fall. 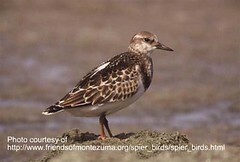 Montezuma’s location within the Atlantic Flyway and the attraction of the Finger Lakes region of New York bring in large numbers of waterfowl during both fall and spring. Numbers dwindle after the pool freezes over at the end of November. 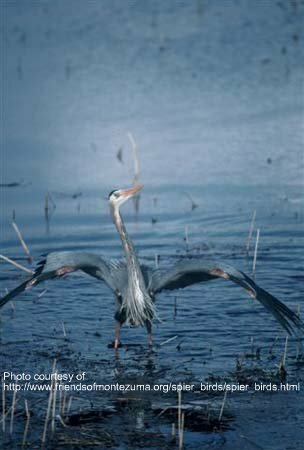 Montezuma National Wildlife Refuge is a jackpot for bird watchers and nature lovers. The marshlands have extensive trails and offer all sorts of activities. We once drove to the area, but had no map and got hopelessly lost, lol. Be sure to call for directions if you go! And bring lots of bug spray, camera batteries (the scenery is gorgeous) and (webtogs.co.uk/Waterproof_Trousers) waterproof trousers– it IS a swamp, after all. You can also canoe, kayak, hike the 3.5 mile trail, and visit the visitor’s center. Observation towers and an osprey webcam are available for gawkers. Wow! We really want to visit. Cerulean warblers are one of the over 220 species of birds known from the Island. 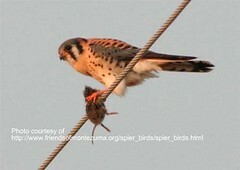 Marsh hawks and bald eagles are seen seasonally. Second growth hardwoods are the most common habitat type and there’s interesting variety to this cover type, too. Kentucky coffee trees, a rare occurrence in NY, are found on Hickory Hill. The leaves of this member of the Pea Family, which are doubly-compound and contain about 70 leaflets, can be almost 3 feet in length. White-tailed deer, fox and beaver are common mammals. River otter have been seen occasionally. Deer, turkey and waterfowl are popular game animals. You know, I have been all over Africa in my hiking boots, and minimal outdoors gear… Never have I been to New York. The place you write about sounds fantastic. It is amazing how one thinks of NY as just another large city – you tend to be ignorant of the lovely places such as this one you describe! There is always something to be said when a lovely place like this has a bit of a personal space in one’s heart. I certainly would want to keep this link – and start building a dream and a trip around this fantastic refuge… Now where shall I get them waterproof trousers from?! Both interesting in details and also an important reminder how important it is to preserve the wilderness to the benefit of our co-livings on Planet Earth.